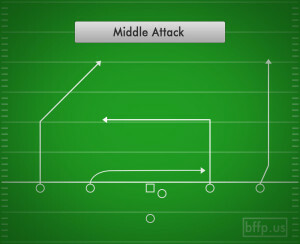 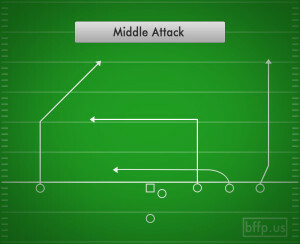 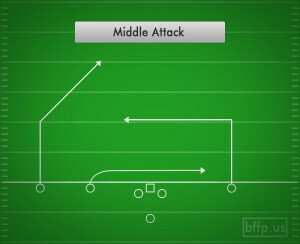 The Middle Attack play attacks the middle of the defense with three different routes attacking three different levels in the defensive secondary. 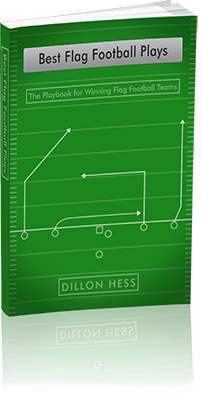 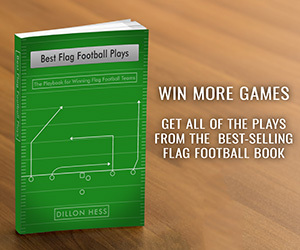 This allows the Quarterback to read the vertical flow of the defense in order to determine which of the three levels will be the open one. 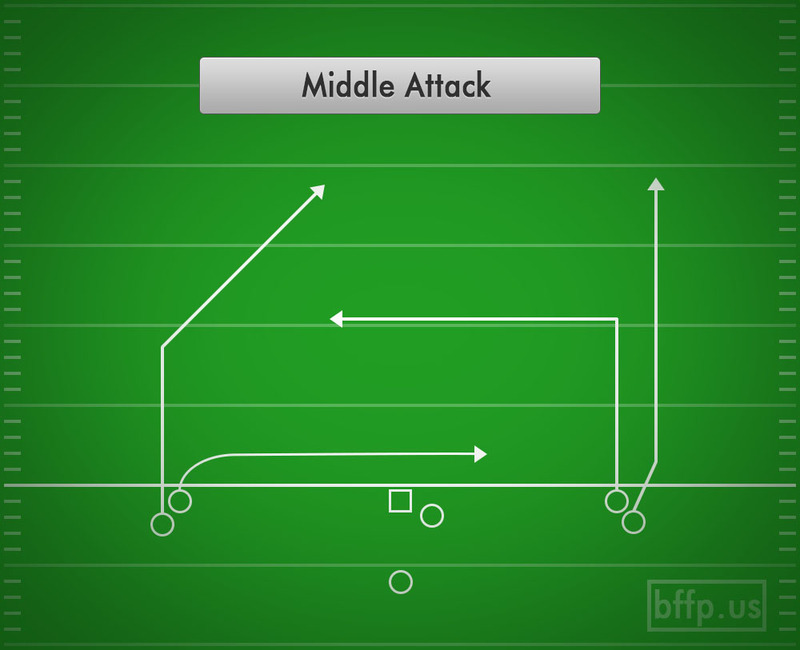 If the defense begins to crowd the middle of the field, then the outside receiver needs to get a wide release to run down the sideline on the fade route to stretch out the secondary. Middle Attack is a variation of the Box play, but with a reversal of of roles for the slot receivers.